Jean M. Russell is a culture hacker, facilitator, and writer on a quest to catalyze group productivity. As a founder of the Thrivability movement, Jean works with change agents, innovators, and new economy builders, globally, through the Thrivable Futures Consultancy. 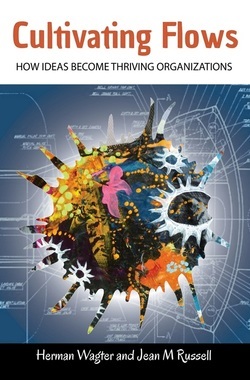 In 2013, Jean published Thrivability: Breaking Through to a World That Works with Triarchy Press. She received an honorable mention on the Enrich List as one of the top 200 people enriching our path to a sustainable future. She is also listed as one of 100 women globally co-creating a P2P Society. In 2010, with 65 inspiring people, she curated, Thrivability: A Collaborative Sketch which has been seen by well over 30,000 viewers. She has published articles on organizational design strategies, and her work on thrivability, innovation, philanthropy, and cultural shifts has been highlighted in The Economist, Harvard Business Review, and Stanford Social Innovation Review. Since 2007, she has been facilitating strategy retreats, conferences, and workshops in North America, Europe, and Australia. She brings to her facilitation a keen understanding of social network analysis, motivation and behavior patterns, group dynamics, and culture change. Jean often custom designs participatory structures for group engagement that evoke play to achieve purpose. 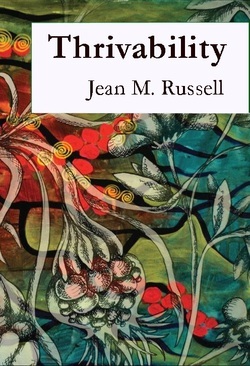 "When the future generations look back at who generated the most joy, nurturance, presence, expertise and connections for this period of history, Jean Russell will be in the top echelon of the best of the lists. We named Jean as a co-founder six months into our nonprofit start up, because of her exceptional ability to continually add value and to execute all that was asked of her and more. It's really that simple. She is on top of it, a superlative human being and friend. I would subtitle her SHE WHO CONNECTS HER WORLD AND YOURS, Jean's ability to share and co-create vision, to leap from universe and project to project and her honest & impeccable feedback, has made her a favor working partner. And that my friends after 35 years at philanthropy and business is saying something! Don't miss you opportunity to collaborate. And pay her please so we can all keep her at what she does so well: a living demonstration of the generous world we want."